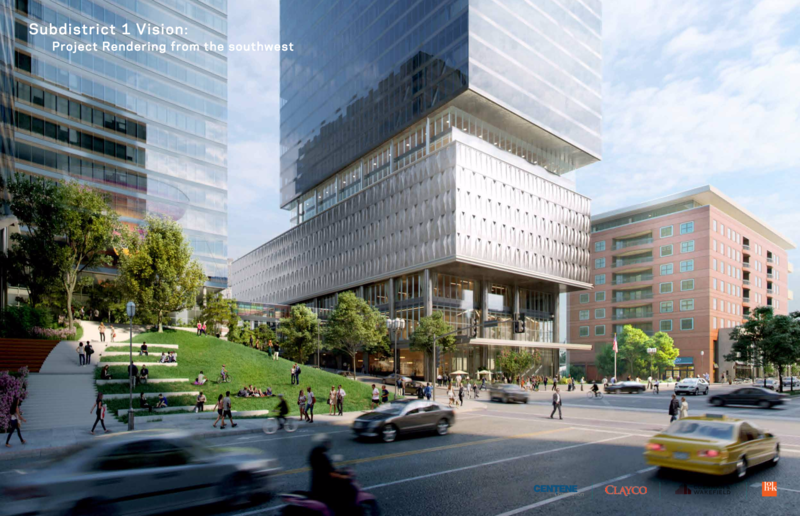 Last week we wrote about the Centene corporate campus project in Clayton, offering a critique of the plan as well as a glimpse at the opposition, often labeled as NIMBYs (Not In My Backyard). Other than hipsters, NIMBYs may be the easiest identity to caricature. Some times the caricature is fair, sometimes it’s not, and sometimes it’s just funny. There’s a very fine line here of course. If you say you’re pro-development but offer unrealistic, unworkable demands, well, you’re really a NIMBY. The city’s master plan and zoning are important guides, but arguing against any and all exceptions can be shortsighted. In short, the better NIMBY, or YIMBY, but… arguments are that the Centene plan doesn’t follow the Clayton Master Plan, and that the project should be “rightsized”, or that Centene should build only what it “needs” or would occupy, and not additional space to lease to tenants. 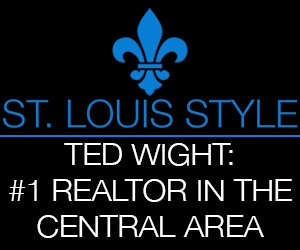 The Centene plan provides four percent of the new development as residential and less than one percent as retail. This is not a mixed-use development. 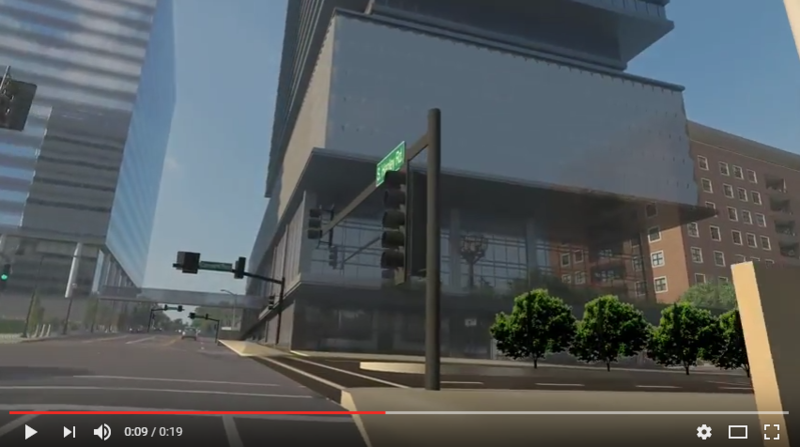 The tunnels, walkways and garages proposed by Centene for its employees do not foster pedestrian traffic. 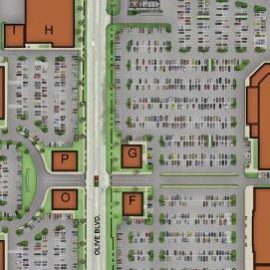 Oversized parking garages are inconsistent with the Master Plan and everything the city envisioned for a major city street like Forsyth as the eastern gateway to the Central Business District. The solutions offered are more subjective, and can be less well reasoned. 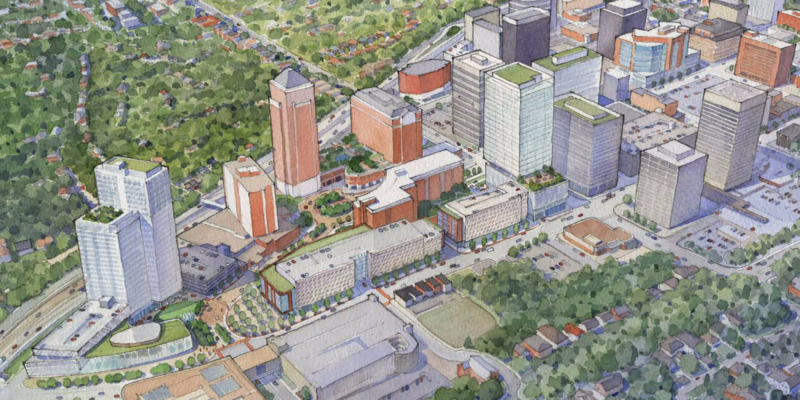 Among the group’s conclusions for “a win/win for Centene and the entire community”: moving the Hanley Tower closer to Forsyth and reducing its size and scale, reducing size and scale of parking garages, and requiring smaller buildings. Another suggestion, that Centene should be “adding green space between the Forsyth garages and in other areas throughout the proposed development”, is not well articulated, if not just wrong. Not more, but purposeful, useful, active “green space” is needed. 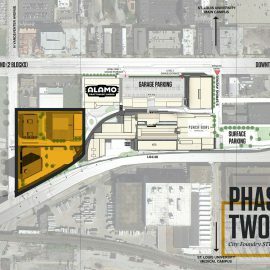 The planned plazas are not that. 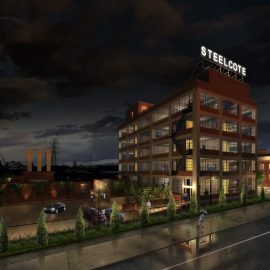 While financing details for the project have not been outlined, it would seem clear that it will rely on tenant rent. With an average rent of more than $32 per sf, the current Centene tower is the most expensive building in the region. According to Jones Lang LaSalle, Forsyth Boulevard is home to the most expensive office space in the state, and is the 30th most expensive street in the nation. Asking that Centene only build for itself is likely not a workable solution for the company. In fact, the resident’s call to give “very careful consideration” to incentives requested by Centene, and suggesting that a smaller project would reduce cost and subsidy, may be exactly backwards. The full August 16 press release from Residents for Respectful Clayton Development is below, as is the full presentation from the August 15 hearing. August 16, 2016, Clayton, Mo. 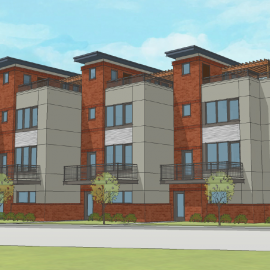 – Today, residents of The Crescent Condominiums in Clayton presented a report to the City of Clayton outlining their concerns and potential solutions for rightsizing the Centene Development currently under review by the city. 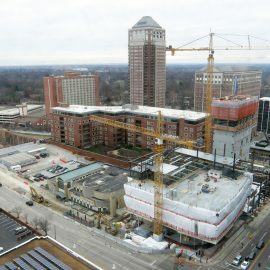 Moving the Hanley Tower closer to Forsyth Boulevard and reducing the size and scale of the Hanley Tower to meet, but not exceed, the future defined growth of Centene. Reducing the size and scale of the parking garages to accommodate, but not exceed, retail parking needs and defined Centene growth. This would reduce the number of cars by more than half and provide a viable solution for many issues created by this development. 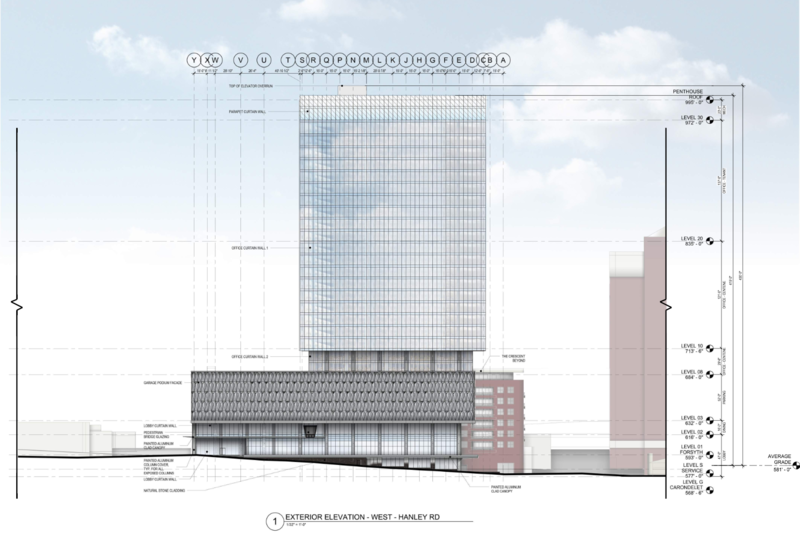 Requiring smaller buildings because, as presently designed, the space behind the Hanley Tower, the parking garages and the Crescent does not provide enough space for loading and unloading of trucks for the Hanley Tower, while preserving ready access for the Crescent and the new residents proposed by Centene. Adding green space between the Forsyth garages and in other areas throughout the proposed development. Giving very careful consideration to Centene’s request for public assistance/incentives for the overall project. Reducing the size and consequently the cost of this development may also decrease Centene’s request for such assistance. 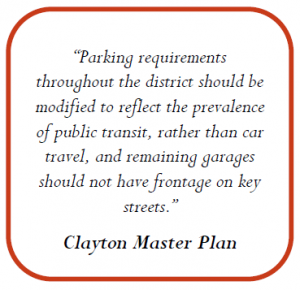 To learn more and get involved, visit us Facebook at Residents for Respectful Clayton Development.